Academics at Penn State University are seeking to commercialize water-soluble yellow, orange and red colors derived from avocado seeds (pits), which they claim offer cost and stability advantages over natural colors currently on the market. The work is led by Dr Gregory Ziegler , professor of food science at Penn State, who says he had a Eureka! moment several years ago when he was grinding down avocado seeds in order to extract starch and saw a “brilliant orange color” materialize via enzymatic reactions occurring as a result of the grinding process. Instead of turning brown once exposed to oxygen, as many fruits and vegetables do as a result of the enzyme polyphenol oxidase or PPO, the avocado pits turn orange, but then stop changing color. 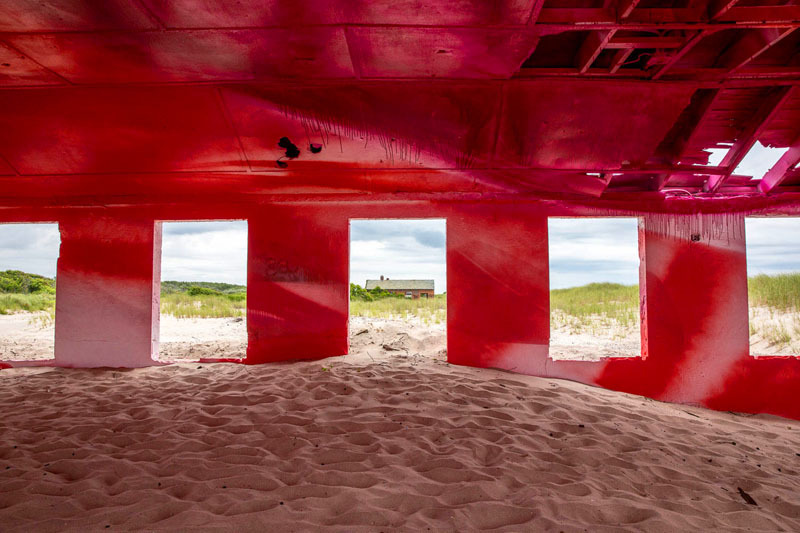 A giant threw a container of red paint onto the beach at Rockaway, New York. Or so it seems. In fact, the color explosion is a work of art by the German artist Katharine Grosse. 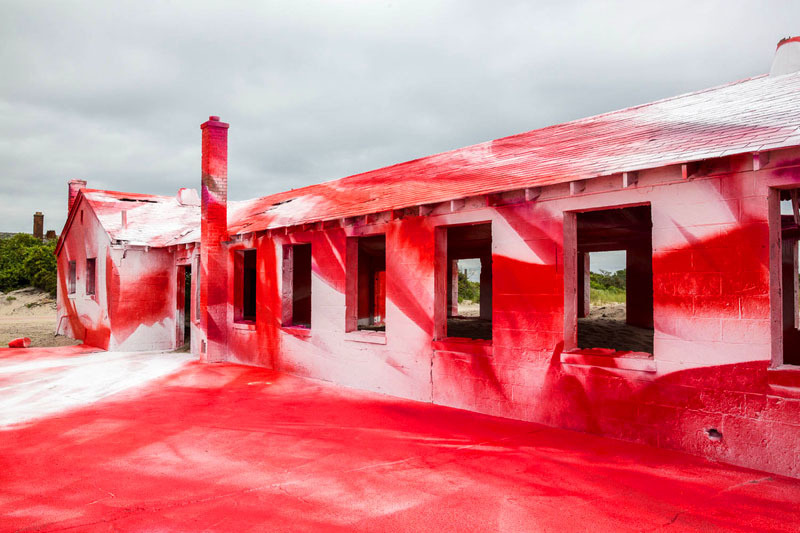 Reflecting the bold colors of the sunset at the beach, Grosse transformed an old building into a monumental work of art, using a specialized technique of spraying brightly colored paint onto the structure. This work of art is an installation commissioned by MoMA, the Museum of Modern art in New York. It will be on view till November 30, 2016. Recent research shows that cars in bold colors retain their value better than other cars. After analysing 1.6 million second-hand cars it turns out that vibrant, rainbow hued cars sell a lot better than the chic greys and whites. However, don't overdo it. While yellow and orange cars retain their value quite well, gold cars show the greatest amount of depreciation. In general, cars in rare colors don't take longer to sell than the average vehicle. The web is very blue. Not metaphorically. The Internet’s most heavily trafficked websites are literally colored with nearly twice as many shades of blue as shades of yellow and red, and three times as much green. What If Solar Panels Were Colored? For 20 years, the solar power industry has been focused on developing highly efficient and less expensive technology to encourage integration into our power infrastructure. But what if a company decided to follow the lead of innovators such as Apple and Tesla to approach solar power from a design perspective? 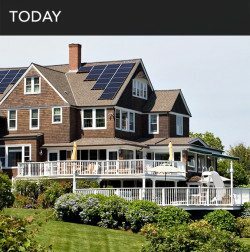 What if solar power were beautiful? Two Massachusetts Institute of Technology graduate students decided to do just that. Out of their initiative, a new solar company has emerged called Sistine Solar, which places the emphasis on creative design and the look of the product, while ensuring that the functionality is equally viable. Strictly speaking, we don't perceive colors, we perceive color differences. That may sound like wordplay, but it's more important than you think. We only perceive colors by virtue of their contrast with other colors. We see red by virtue of green. We see white by virtue of black. The words on this page can be read not only because they are black, but also because they are viewed against a white background. Obviously, you wouldn't be able to see this text against a black background. When you think about it, perceiving contrasts rather than colors themselves has deep implications. Some of which lead to other misconceptions. And here's an interior where that very same color has been applied. You may or may not like this particular design. But you can't ignore that at the very least our appreciation of this color depends on the way it is used. 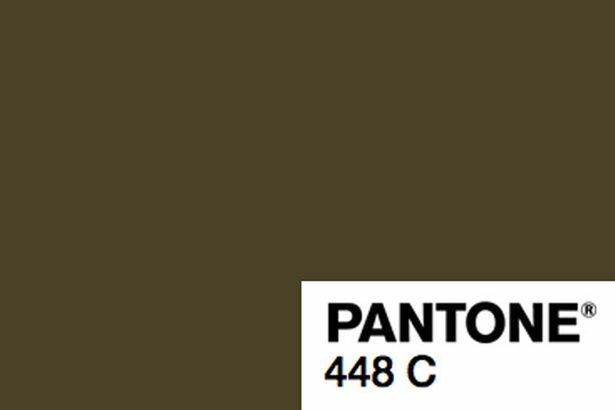 You may notice that it differs from most modern color circles. Nowadays red, blue and yellow are often situated at exactly one thirds of the circle. A color circle is by definition a design. Which means that there are many color circles, designed for different purposes. We don't actually have a preference for colors, but only for color combinations. After all, we percieve color differences, not actual colors. And our preference for color combinations is eerily predictable. 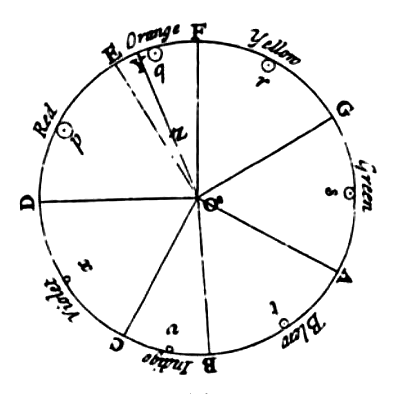 See Müller's formula for predicting color preferences. Which one of these 3 images shows the correct Coca Cola color? 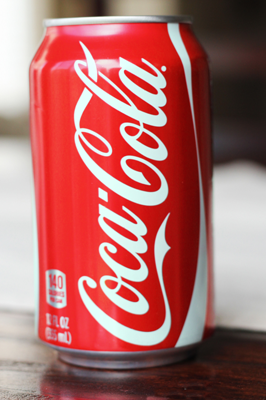 All three reds are exactly Coca-Cola red. You may have guessed that. But even so, you probably weren't 100% sure. The reason is, obviously, that the images show three different color combinations. Again, we don't see colors, we see color differences. Which makes it quite hard, if not impossible to recognize individual colors.